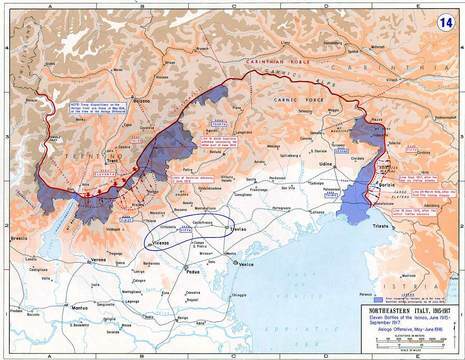 The Ninth Battle of the Isonzo was an Italian offensive against Austria-Hungary in the course World War I. 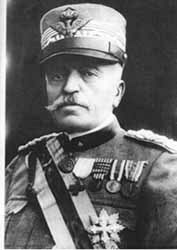 Including a triumvirate of battles launched after the Italians' successful seizure of Gorizia in August 1916 to extend their bridgehead to the left of the town, it ended in further failure for the Italian Chief of Staff Luigi Cadorna. With the ninth battle fought from 1-4 November 1916 the combined casualty total from the three linked battles proved sufficiently heavy to ensure that each attack was of short duration (each less than a week). The Italians suffered 75,000 casualties and the Austro-Hungarians 63,000.